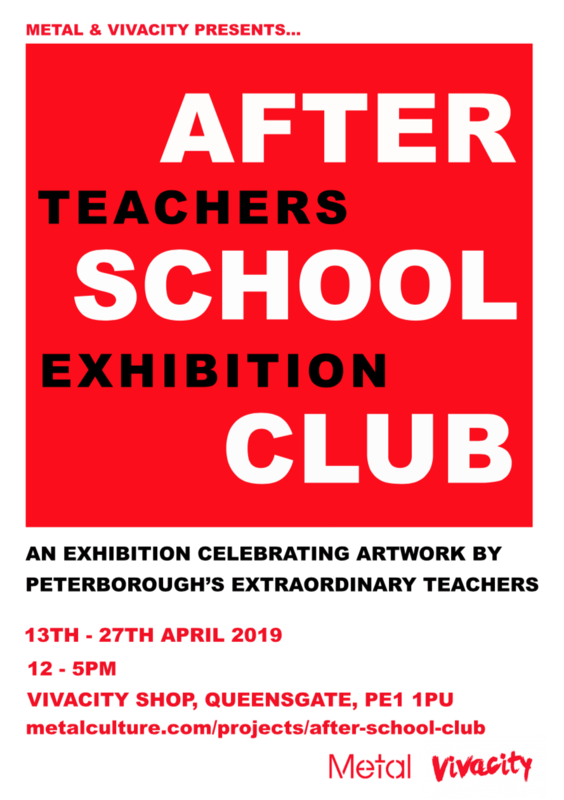 After School Club is an exhibition celebrating the artwork by art teachers from across Peterborough and the PE postcode. Teachers of Peterborough dedicate an enormous amount of time and energy to inspiring our future generations. This exhibition is an opportunity for them to focus on, and show off, their own creative talents. The exhibition was dreamt up by a number of teachers who were invited to a dinner at Metal back in summer 2018. The discussion at the dinner was whether or not teachers, who may have trained as artists, musicians or performers, still maintained their practice. Many did, though some struggled to do so, acknowledging the challenge of juggling the pressures of a demanding day-job and family life. As an incentive to create new art works, Metal and Vivacity set the challenge of a public exhibition to create a new network and inspire new work. In the lead up to the exhibition there were 3 get-togethers for teachers. This was an opportunity for participating teachers to meet each other, share challenges, get advice on work / processes and also consider how to present their work for the exhibition. Vicky Birley, Catherine Brooks, Asher-Marie Cater, Rose Croft, Louise Denney, Gillian Fradley, Rebecca Hampson, Deborah Henning, Lucy Lester, Hannah Littleton, Tony Lumb, Jackie Nosworthy, Ewa Pandera, Sara Parnell, Claire Pope, Alexandra Powell-Bowns, David Raine, Francis Reynolds, Sarah Robinson, Helen Savage, Hanna Senior, Sally Slade, Kevin Terry and Clare Turner. 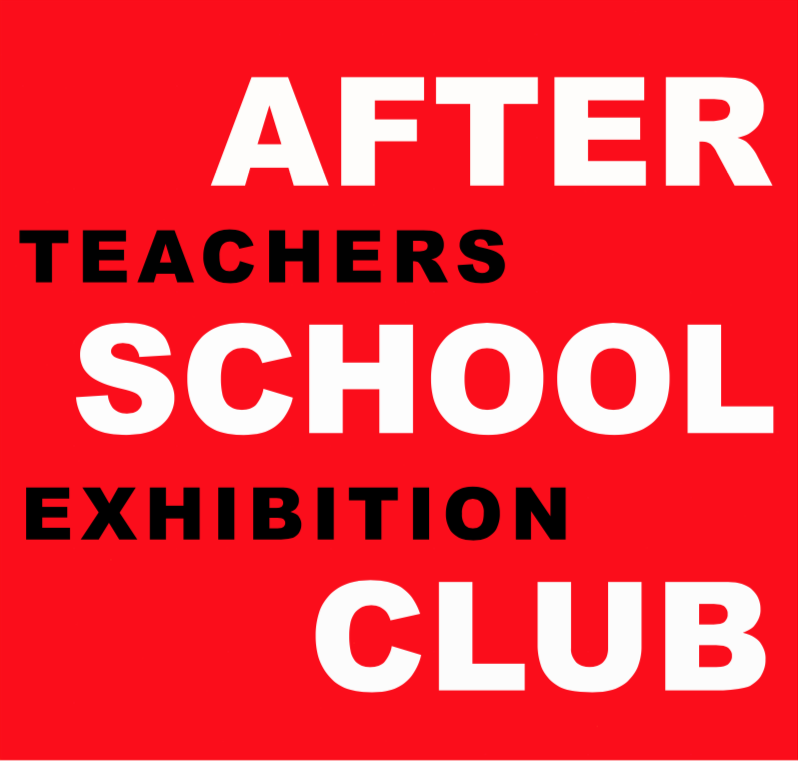 AFTER SCHOOL CLUB – Volunteer Opportunity: Metal are looking for enthusiastic people who would like to volunteer in our new exhibition. As an Exhibition Host you are part of the front of house team and will support the Metal staff looking after the show at Vivacity shop. This will include checking all artworks are looked after and answering any questions that the public may have. You will be responsible for welcoming and providing exhibition information to visitors of the gallery; you will be the first point of contact for gallery visitors. Checking the art works and keeping the exhibition space clean and tidy. Recording audience numbers and comments. We are looking for exhibition hosts to do one or two shifts over the duration of the 2-week exhibition, either 2 hours or 5 hours. This is flexible however and we would love to hear from you regarding your availability. The exhibition will run from the Saturday 13th April to Saturday 27th April, 12 – 5pm. If you are interested please get in contact and we can discuss dates and your availability further. Expenses for food & or travel of up to £4 per shift of 2+ hours. Support given by our experienced staff. If you are interested in volunteering and would like more information please contact sarah@metalculture.com.